Fires are dangerous. Forest fires, even more so, as they often get out of control and spread over a huge area. These destroy vast tracts of forest cover and wildlife, disturb the forest ecosystem, adversely affect human settlements in the vicinity and cause huge economic losses. 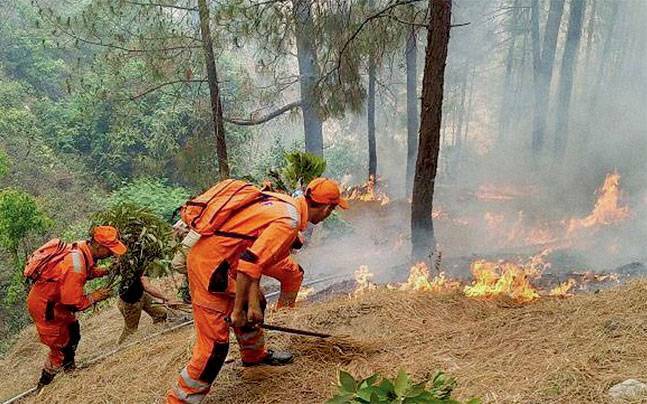 NDMA conducted its first-ever mock exercise on forest fire in Uttarakhand in April this year. 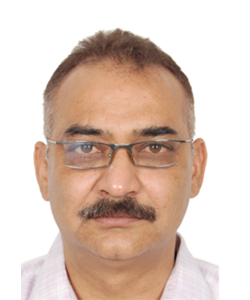 'Aapda Samvaad' spoke with Dr. Piyoosh Rautela, Executive Director, Disaster Mitigation and Management Center (DMMC), Dehra Dun, about the role of such exercises in reducing disaster risks. Q. What is the significance of this mock exercise for Uttarakhand? A. Any mock exercise, whether on forest fires or earthquakes, presents an opportunity to review our plans, check the readiness of various departments, ensure coordination with central government agencies and paramilitary forces. So, it is an important tool for reducing disaster losses. We have had major forest fires across the state in 2016. National Disaster Response Force (NDRF), army and other paramilitary forces were called in to assist the rescue and relief operations. Q. How was this exercise different from other mock exercises conducted previously? A. Earlier, we used to exchange information with the forest department on incidents of fire. However, this was the first time that the forest department was actively involved as a stakeholder. It will certainly improve inter-agency coordination and help us handle incidents of forest fires better. Q. How do you ensure that the community is made an active stakeholder in the Disaster Risk Reduction (DRR) process? A. Community's involvement in reducing disaster risks is of utmost importance as mass awareness plays an important role in voluntary compliance of safety measures. These mock exercises generate a lot of media reports which, in turn, makes the community aware about 'Do's and Don'ts' of disasters and level of preparedness of the government. Important information like emergency contact numbers also become readily available. Besides, student volunteers, cadets from Nehru Yuva Kendra Sangathan (NYKS) and National Cadet Corps (NCC), representatives from Mahila Mangal Dal, Gram Pradhans, chowkidaars, etc. are directly involved at various stages of mock exercises. Uttarakhand has been running 10-day training programmes for the communities for almost seven years now. More than 15,000 persons have been trained on search & rescue, and First Aid so far. Q. How do you plan to take this initiative on forest fire further? A. More than 70 per cent of Uttarakhand's geographical area is under forests. Forest fires are common, especially from February to June. This clearly tells us how important it is to be prepared for forest fires. Next year onwards, we would try to conduct such an exercise before the onset of the season so that we are fully prepared to deal with cases of forest fires. Q. 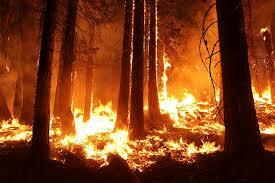 Many forest fires are man-made. What is the state doing to address that? A. Human activities such as controlled burning of grass (local traditional beliefs say regeneration and growth are better after a fire) and using fire as an easy method to clear a piece of land cause a majority of forest fires. Such incidents can be reduced by generating awareness about its ill-effects. People have been gradually alienated from forests in past few decades. Firstly, a lot of young people have migrated from villages leaving many villages thinly populated. This means lesser number of hands in dousing fires in surrounding forests. Secondly, various Forest Conservation Acts have distanced people from forests as they no longer have access to forest property (wood, fodder, fruits, etc.) which used to be an integral part of their day-to-day lives earlier. Since they no longer associate with forests, they are no longer willing to contribute as they feel they don't gain anything out of it. As I pointed out earlier, awareness among people is an important preventive measure against such incidents. • Limit development in high risk areas; clear vegetation surrounding homes/other structures. • Build firebreaks between homes and forest areas, if a natural break (road/river etc.) does not exist. • Plant vegetation of low flammability. • Use fire-resistant building materials. •Raise public awareness as people are often responsible for forest fires. • Develop fire fighting capacities.